Us runners know to keep our enemies close but our friends closer. (Enemies being hills, and friends being anything that makes our run easier.) Prime example: I first discovered Feetures! socks at an expo when I began running cross country in high school. And if you've ever tried on a pair, you know exactly what I mean when I say from that day forward, my feet would forever thank me. I kid you not, ever since that fateful day 9 years ago, I haven't purchased another brand of running socks. 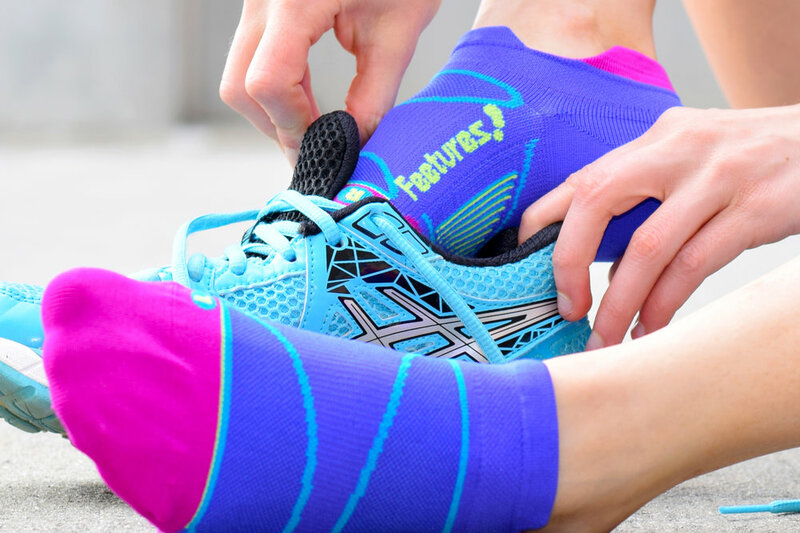 So I want these socks to change your running game too. I've teamed up with Feetures! to give away a pair of socks to two of my #fitfriends! Be sure to stop by my Instagram page to enter the giveaway before Friday, 12pm EST, when I will be announcing the winners. Good luck!